Our service is fast, discreet and safe - from a no-obligation consultation through to treatment and aftercare. We provide experienced pest control in Ely, Soham and Cambridgeshire. With many years’ experience and extensive professional qualifications, we’re a trusted and reliable option if you discover a pest problem. We work with individuals, landlords and business owners. Our top priorities when treating a pest problem in your home are causing minimal disruption and ensuring the safety of your family and pets. We’ll use pet-safe pesticides whenever required, and we promise to keep your home looking the way you want it. Before you know it, you’ll be pest free and back to normal. When it comes to treating businesses for pests or infestations, it’s essential you call in professionals. We’re trained to accurately identify pests and know exactly how to remove them as quickly as possible – including an emergency call-out option – so that your doors are open again as soon as possible. Many pest problems are easier to treat the earlier you get in touch. Our friendly pest experts will clearly explain your options and help you with the next steps. 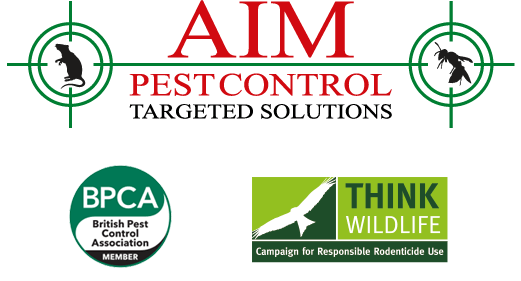 Aim Pest Control Ltd is very much a family business and we are delighted to help you. Michael likes to think he is the director but it is really Sam, his wife, who is the boss! Michael knows that he has dropped a couple of rungs down the ladder of hierarchy, now that we have a new puppy in the family! 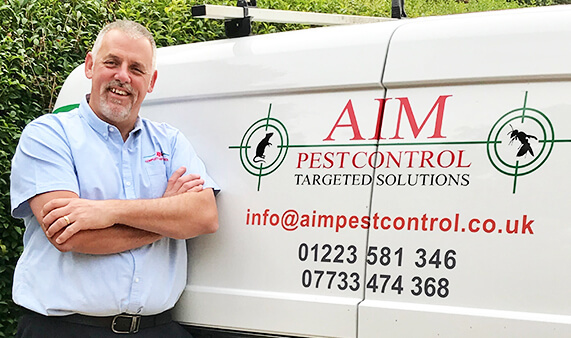 Aim Pest Control Ltd’s ‘aim’ is to deliver a professional humane service, respecting and being conscientious of the wider environment and developing and strengthening working relations with our clients. Sam is Michael’s wife and behind the scenes expert in most things! 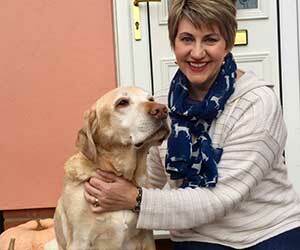 She is an animal lover but understands and respects the law of nature. She keeps the office running smoothly and efficiently; in other words, she’s pretty much the boss! 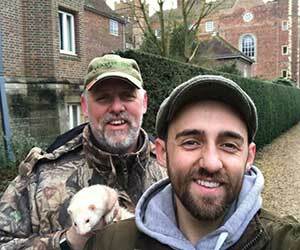 Harry is our number one son and the ferreting go to guy! What can we say about Trevor other than he really likes to get stuck in! Find out what our clients love about our service. 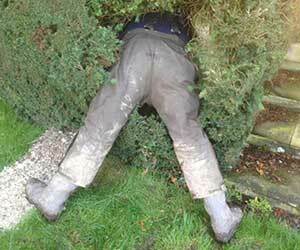 "I really appreciate your prompt action to attend to the mole problem we have, and seems it will be ongoing. I have been extremely satisfied with your service over the past few months particularly as the moles have been working over-time here at Lazy Otter Meadows. Your services will be continued I can assure you." "We signed up with you for a yearly contract and needed you out a couple of times the first year, but decided to sign up again with you on a yearly contract and boy have we needed you this year. Mike thank you very much for your always prompt service, good nature and great mole catching ability." "I have an allergy to bees and wasp stings so my worst nightmare was having a wasps nest in the garden. I contacted Mike who came out to me that same day and got rid of the blighters! My hero!" "I had a massive mole infestation so I called Michael and he was very confident that he could catch them all! He did say, if he didn't catch them, I wouldn't have to pay. 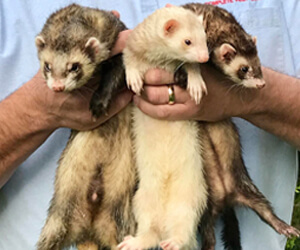 He caught them all within a 2-week one-off clearance, but he did tell me that moles can enter the vacant tunnels from surrounding fields, so I have taken out a yearly contract with him for peace of mind." 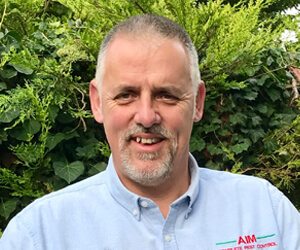 Keep up to date with the latest news from Aim Pest Control Ltd.